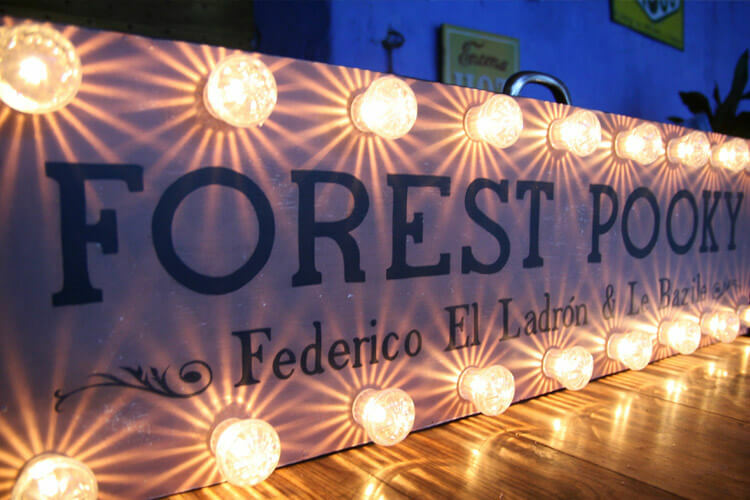 This particular obsession probably started with having a string of 1970s Woolworth's Christmas lights as permanent decoration in my bedroom when I was a teenager. 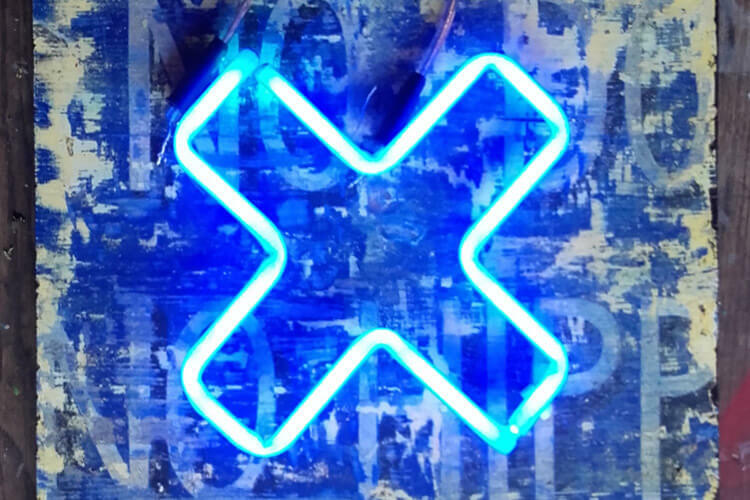 I've always loved electricity and did A-level physics, so when I started making signs for the Gigors Electric concert venue, I wanted to illuminate them too. 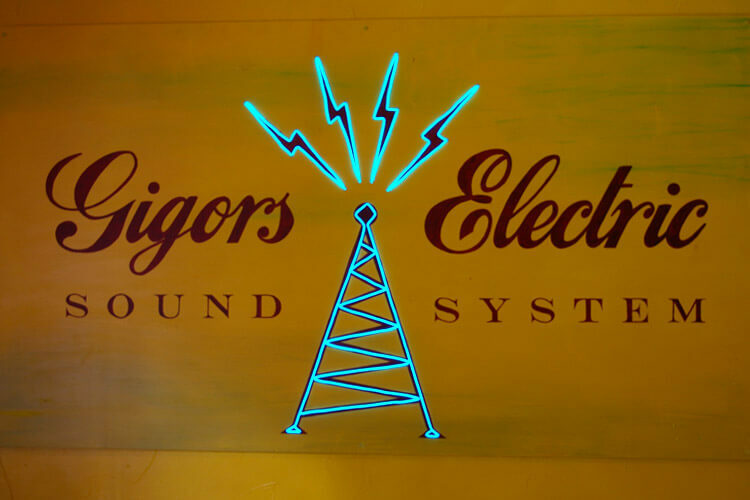 The first luminous sign I made used electroluminescent (EL) wire; it was the large Gigors Electric logo fixed behind the bar in 2008 (see below). 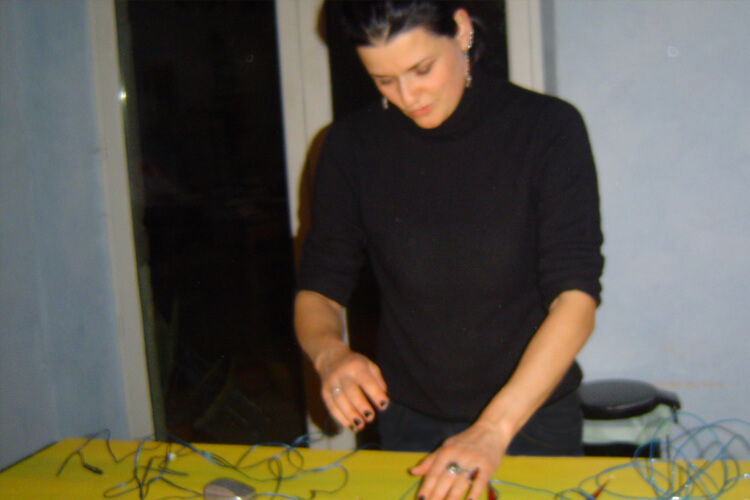 EL wire was never touted as durable, but this one actually ran for six years before finally giving up the ghost. It's in the workshop for a refit right now. 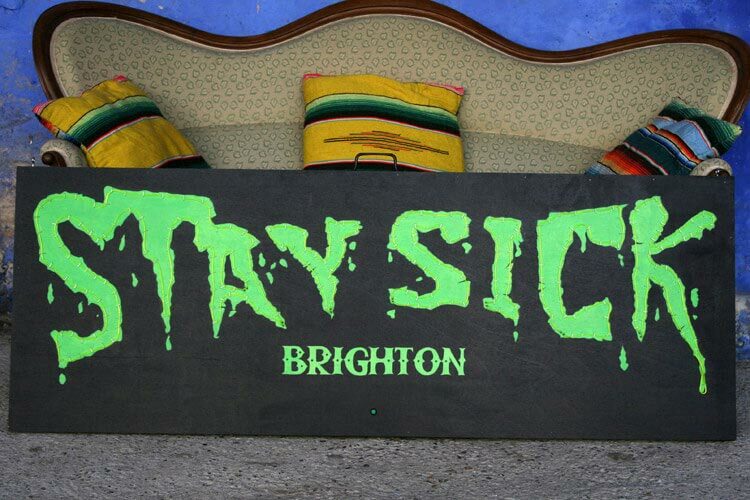 I also made a portable, flashing, slime green EL wire sign for Brighton DJs Stay Sick. 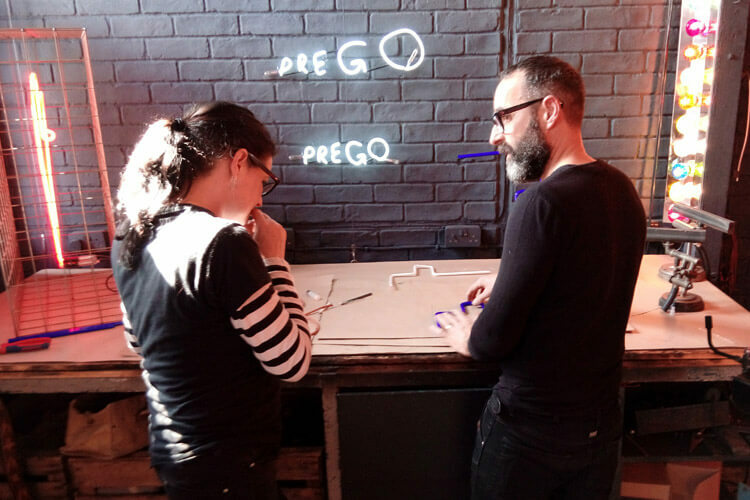 Last year I did an amazing neon workshop with Andy Doig in Brighton which was the real stuff (glass bending over gas torches, burnt fingers, high vacuums and bombarding transformers). 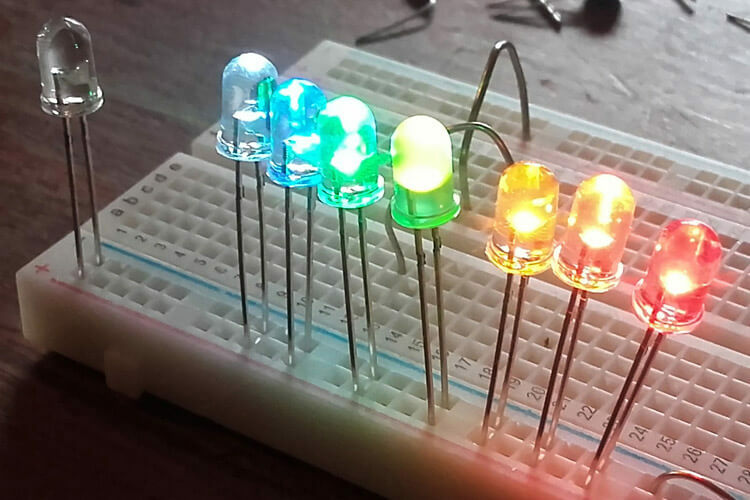 But my favourite lighting method is LEDs - mostly small ones. 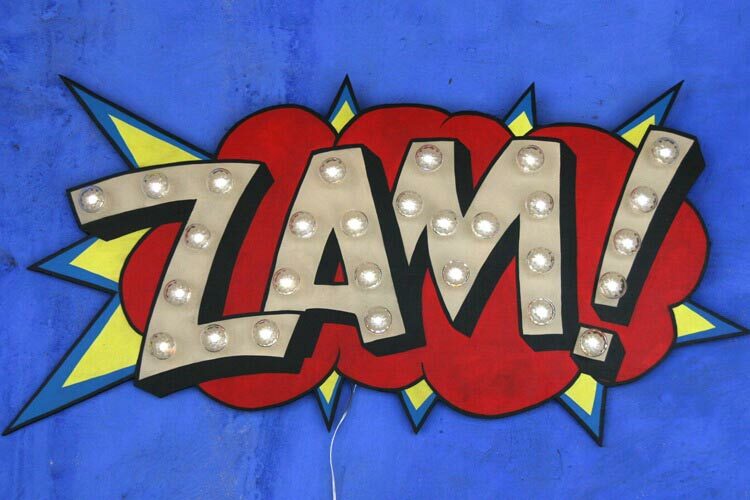 They fascinate me. 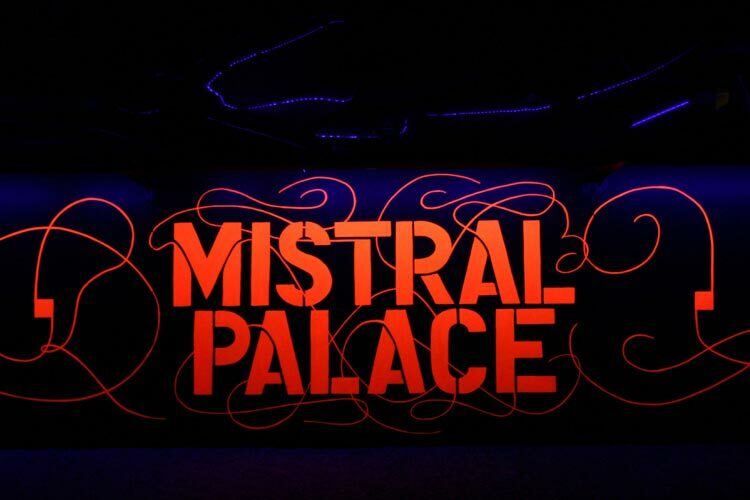 They're so versatile - you can use them inside cabochon bulbs to create light shard patterns; LED fairy light strings add an ambient decorative light around painted signs and for the Mistral Palace sign, I used hidden UV LED strips.